The plugin is simple and supports all the field types in Meta Box. It also uses the same syntax as for custom fields for posts, so you unlikely have to learn a new thing. 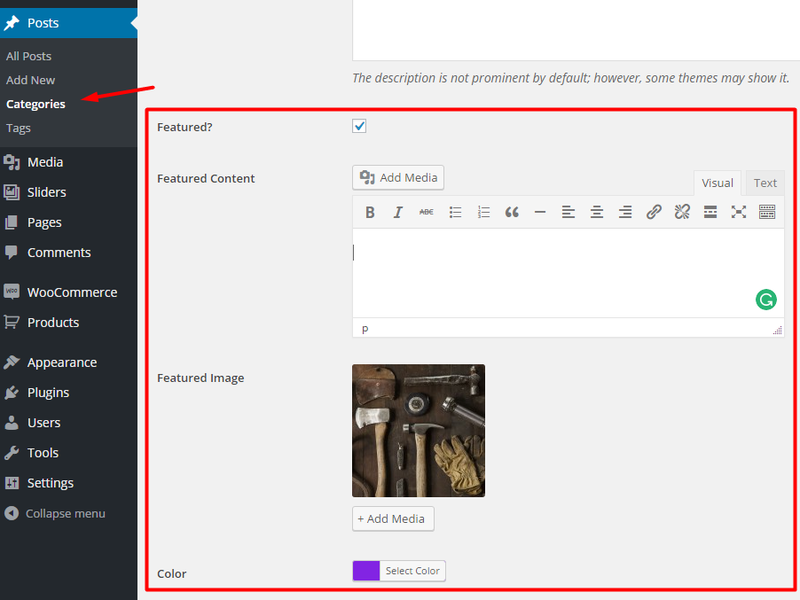 Creating custom meta boxes and custom fields for taxonomy terms is similar to posts. See this documentation to know how to create a meta box, and this documentation to know how to define fields. The only difference here is when you create a meta box for a taxonomy, you need to specify a parameter taxonomies which the meta box will be added to. This parameter can be an array of taxonomy slugs or a string of single taxonomy slug. And you have to remove the parameter post_types. WordPress provides an identical way to store values in the meta tables for post / term / user. This extension utilizes that API and stores field value in the term meta exactly like post meta. You’re able to use helper function rwmb_meta() to get field value for terms. Other parameters are the same as for post. Please see this documentation for details. It requires the extension version 1.1+ to use the helper function. If you’re using an older version, please update now. $image_ids = get_term_meta( $term_id, $field_id, false ); // Media fields are always multiple. Read more on how field values are saved into the database.